Omg, who doesnt have these? I am able to wipe off mist all of my makeup with these followed up with another one of my favorite cleansers. These are a must have! Love this mask so much! 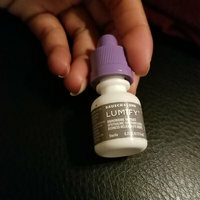 I received this product for free from influenster to to review and I was so happy I got it. This company is my favorite skin care company, and I'm always posting about their stuff in my Instagram. This mask is super amazing. When I 1st got it I was skeptical because the way it looked when it was wet I didn't think it would be a great pillar of mask. To my surprise, this mask is awesome awesome and, it definitely got rid of most of the dirt in my pores. It just lifts it away. Totally love this. I get eczema Flare ups around my face and this product helps to keep my face soft and hydrated. Even when I don't have any flare up, I used this anyway just because the formula is great!